Bestselling American thriller writer Jeffery Deaver is most well-known for his psychological thriller series starring quadriplegic criminalist Lincoln Rhyme (such as THE BONE COLLECTOR, adapted into a film starring Denzel Washington and Angelina Jolie), a spin-off series starring interrogation expert Kathryn Dance, and recently for taking up the baton by penning the latest James Bond novel, CARTE BLANCHE, but he has also written some very good standalone thrillers over the years. EDGE introduces Corte, a stoic, enigmatic and highly driven ‘shepherd’ assigned to protect those in the gravest danger – witnesses, whistleblowers, and other vulnerable people. A lover of strategic board games, Corte is often pitted against ‘hitters’ and ‘lifters’ – the former want to kill, the latter are even more dangerous: they want to extract information, by any means necessary. When Washington DC police detective Ryan Kessler is surprisingly targeted by notorious lifter Henry Loving – who will torture, threaten and kill family members, and more, to achieve his goals (anything to find the necessary ‘edge’ on the real target) – Kessler and his family are immediately put under the protection of a shadowy government agency, with Corte assigned to keep them alive. Unfortunately, Corte knows just how brutal Loving can be – six years ago the lifter tortured and killed his mentor, after getting the information he needed. But there are many problems with this case, right from the start. Kessler has no idea why he’s been targeted. He works financial cases, not gangs or organised crime. Could the forged cheque of a Pentagon employee or an uncovered mini-Ponzi scheme really have spurred someone to set Henry Loving on his trail? The cop in Kessler resents the passive nature of his protection, but his instincts for action and involvement could put him in even more danger. As time ticks by, Loving learns more and more, and becomes even more dangerous. Corte needs to find the principal, Loving’s employer, while still protecting the Kesslers. But he has no idea why someone is after Kessler, making it very hard to get a lead on the ‘who’. He is also torn between his role as protector, and his desire to catch Loving. Could he use the Kesslers as bait – or will that put them in too much danger? What risks should he take, if any? In essence, EDGE is a one-on-one battle between two great rivals; Corte and Loving. Each is playing a strategic game against the other, moving around the pieces on a real-life board to try to get an advantage and checkmate the other. Deaver keeps the tension high, and the twists come thick and fast. But they don’t seem forced or contrived, there solely for shock value or effect; rather, they are well-constructed and natural to the gripping storyline. The trademark Deaver touches – a fast-paced, tense plotline filled with twists and reversals – are there, but are only part of what makes EDGE so enjoyable. The story is largely told in first person perspective, through Corte’s eyes. The hero’s musings on game theory, strategy, and leverage thematically echo what is going on in the story, adding to the reader experience. I enjoyed learning more about game theory and strategy, in addition to the part it played in the story. Corte recognises that “people will do anything to anybody – if the edge is right”, a fundamental truth that applies to him too. What will he do to catch Loving? To protect his charges? Corte is a very interesting character. He holds a lot in, revealing little of himself – to the reader or the people around him. But hints are dropped here and there, and over the course of the book we get a picture of a layered, fascinating man with ‘hidden depths’ (to use a cliché). Still waters run deep, to use another. Like Loving, Corte will use any means necessary to do his job – misleading people, manipulating them, and more. Revelations later in the book cast him in a new light. By the end, many readers will be disappointed that EDGE was touted as a standalone, and hopeful that Deaver may bring Corte back in future. Deaver has excelled with EDGE, a truly terrific thriller packed with excitement, intriguing characters, and more. It’s the type of book where you really ‘feel’ the tension, and are fully engaged at all times. You’re not just reading as a semi-interested observer, you’re fully caught up in everything that is going on. In the cat-and-mouse game between Loving and Corte, in the dangers faced by the Kesslers, in the intrigue about the reason they’re being targeted. Deaver has set the bar pretty high with some of his previous books, but EDGE is still a stand-out. Unexpectedly, one of my very favourite reads of the year so far. Have you read EDGE, or any of Deaver's other thrillers? What do you think, of this book, or his writing in general? Do you like his twist-filled tales of psychological suspense? Craig - Thanks for your review. There's something appealing about a sleuth who likes board games. There's a real fit there that I find interesting! The Bone Collector is on my list to read this year, before Sept actually. I can't believe I have never tried him, this one sounds perfect also. I love psychological suspense, not all authors do it well though. Great review, glad I recently found you. Wow, this sounds like a fantastic read. I love a good psychological mystery. He is on my list to read, but haven't yet! Likes board games huh, this one might be the one for me! Very nice review. 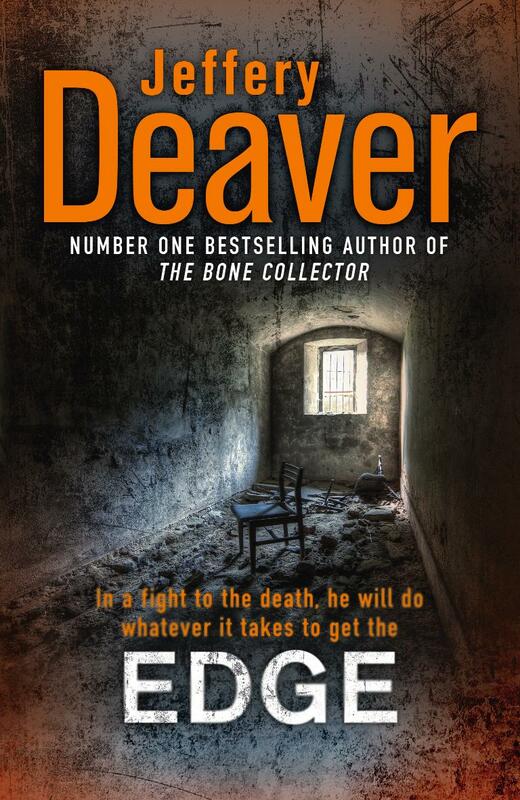 I read my first Jeffrey Deaver novel in 2011 (Bone Collector) and was surprised to enjoy a thriller so much. Sometimes they are just too tense and violent for me. But the writing is very good. Your review encourages me to try Edge. Also have Garden of Beasts, set in a time period I enjoy reading about.